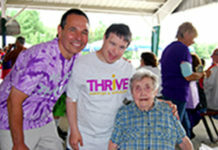 Hudson – Throughout his lifetime, Robert Francis “RF” Wood worked to quietly support families who needed help, so that every child in Hudson had the opportunity to join an organized sport and participate in physical activities. 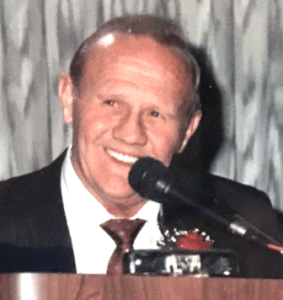 He helped found the Athletic Boosters Association in Hudson, worked to fund sports teams with the passing of Title IX, and was often seen on the field, coaching his children. RF Wood was committed to making every youth’s athletic experience fair, enjoyable and one they would never forget. After his passing, his family worked to continue his legacy through a successful golf tournament and their support of town programs. This past year, they worked to create a philanthropic organization in his name. According to Wood, the golf tournament raised over $20,000 in July. This support is life-changing for children in Hudson, and the family’s long standing support is continuing to affect the availability of programs and inclusive nature of sports programs in the town. 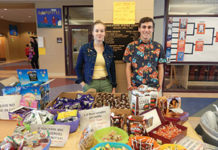 Recently, the RF Wood Foundation was approached to support the Hudson High School Outdoor Club. Jonathan LeSage, a teacher at Hudson High School, reached out to the RF Wood Foundation in his capacity as Director of the school’s Outdoor Club. The club, which has experienced rapid growth over the past few years, is focused on adventure fitness, including snowshoeing, archery, hiking, fishing, orienteering, canoeing, and more. 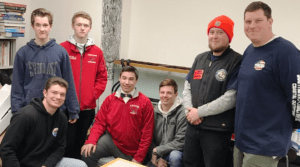 LeSage reached out to the foundation for their Trout in the Classroom Program to raise 200 trout from eggs, and stock an area of the Assabet River. From coaching Little League teams to funding the more unusual clubs in town, the Wood family works hard to honor the legacy of RF. For more information, visit www.therfwoodfoundation.org or contact [email protected]. 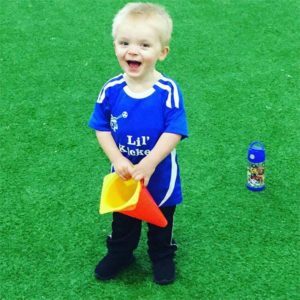 Kyle Kitteridge, 2, RF’s great-grandson, plays sports and keeps the family tradition from an early age.